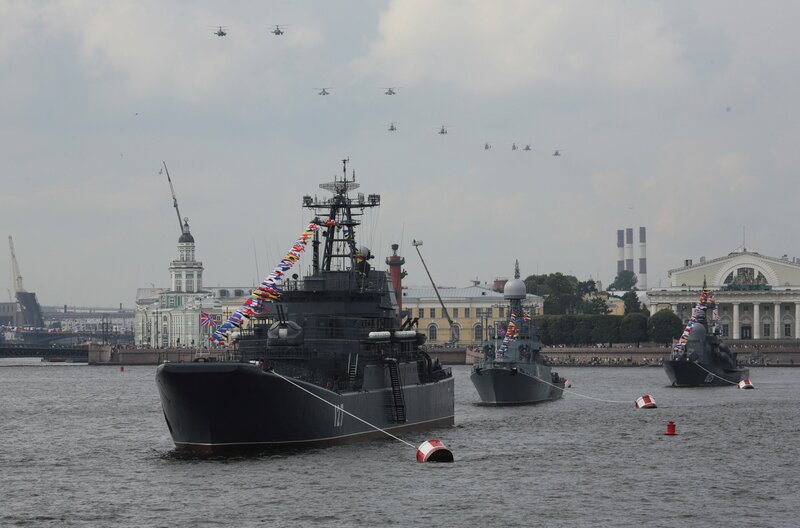 A top NATO officer said Russian naval activity in Europe is higher than it was during the Cold War, although Moscow's seaborne forces are smaller now. LONDON — Russia has increased its naval activity in international waters close to Norway and its military capabilities are a growing concern, Norway’s navy chief said on Thursday. Norway has an Arctic border with Russia and its economy is highly reliant on its free access to the seas. Rear Admiral Nils Andreas Stensoenes, Chief of the Royal Norwegian Navy, told Reuters it was Russia’s legal right to operate in international waters. “We are worried about the increase in activity and the increasing capability because that might be used to their advantage and to our disadvantage later,” he said on the sidelines of a Royal United Services Institute conference in London. Foreign Minister Ine Eriksen Soereide told Reuters in April that, while the risk of war in the Arctic was “low”, Norway was concerned about how Russia is developing militarily and in terms of civil society. “What we saw last year were demonstrations of their capability to strike important targets in Norway,” said Stensoenes. Lieutenant General Morten Haga Lunde, head of the Norwegian Intelligence Service, said in a speech in March that Russian bombers had last year flown tactical flights towards the Arctic town of Vardoe and its Norwegian intelligence installations. Last year NATO’s top officer said Russian naval activity in Europe had exceeded levels seen during the Cold War, although the size of Moscow’s seaborne forces was smaller now. “We have good functioning cooperation (with Russia) on the coast guard, search and rescue, border guards,” he said. Last year, civilian air flights in northeast Norway, adjoining Russia, experienced a loss of GPS signals, which coincided with Russian military exercises. “We do see jamming of GPS in the northeast and it has mainly been affecting the civilian air industry,” Stensoenes said.